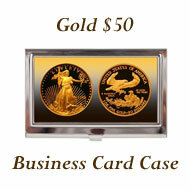 The 1989 proof set is very similar to the annual proof set of the previous year. 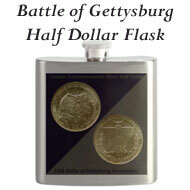 It was packaged in a purple box containing five proof coins for a face value of $0.91. The proof set initially sold for $11 from the US Mint. 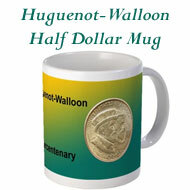 The proof coins included the Lincoln penny, Jefferson nickel, Roosevelt dime, Washington quarter and Kennedy half dollar. 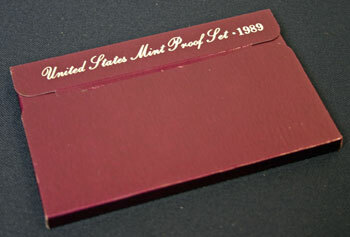 The purple proof set box is constructed of a textured card stock with silver-colored script along the top flap identifying the set as "United States Mint Proof Set • 1989." The purple color of the box is somewhere between purple and burgundy. The box dimensions are roughly 3.5 inches by 5.5 inches by 3/8 inch. 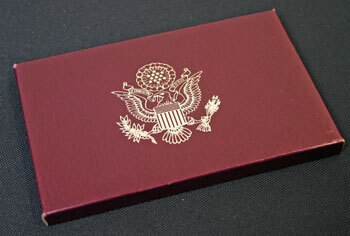 The reverse side of the proof set box holds a version of the heraldic eagle from the seal of the United States printed in silver-color to contrast with the purple of the proof set box. The eagle holds an olive branch in his right talons, arrows in his left and a banner showing "E PLURIBUS UNUM" in his beak. A circular design over his head contains thirteen stars in a six pointed star, and the shield over the eagle's chest contains thirteen bars. The top flap with the written script slides from under the edge of the box to allow access to the proof set lens protecting the coins. 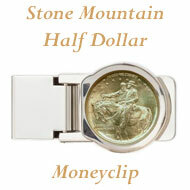 The lens slides out of the box for ease of viewing the proof coins. 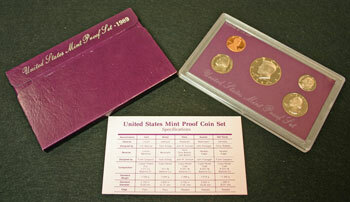 The 1989 proof set consists of the purple textured outer box, the protective lens holding the five proof coins and a pale purple card detailing the Proof Set Coin Specifications. 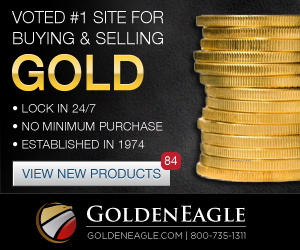 The US Mint maintained consistency throughout the 1989 proof set production. 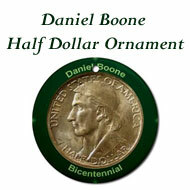 No known varieties exist for the proof sets and most include a cameo or ultra cameo finish. 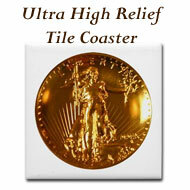 Of particular interest, 1989 was the last year the US Mint hand-punched the mint mark on the master hub. 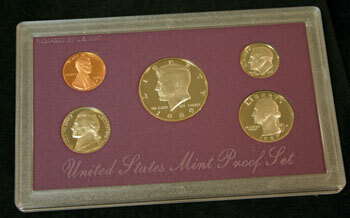 Also in 1989, the US Mint continued their Prestige Proof Set program. 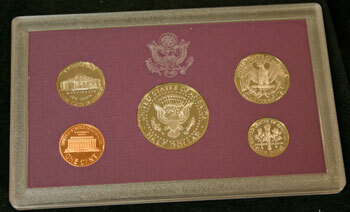 The 1989 Prestige Proof Set contained the five regular proof coins along with a commemorative silver dollar and a cupro-nickel half dollar recognizing the 200th anniversary of the United States Congress. 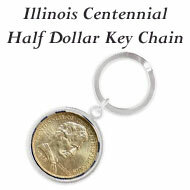 For 1989, the US Mint kept the altered positions of the coins introduced the previous year with the Kennedy half dollar being more a centrally located focal point. 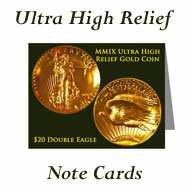 The raised letters in their clear script state "United States Mint Proof Set" across the bottom of the lens. 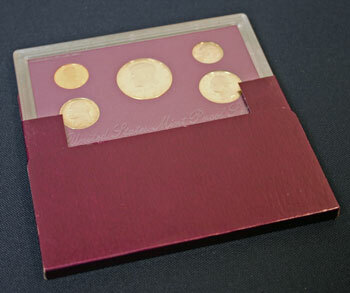 The proof coins held in their individual circles of purple card stock are sandwiched between two clear pieces of plastic. In the upper left corner, clear block letters state "PACKAGED BY U.S. MINT." 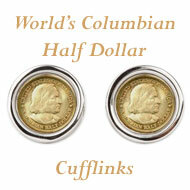 Turning the protective lens over, the coins' individual reverse designs are easily seen. 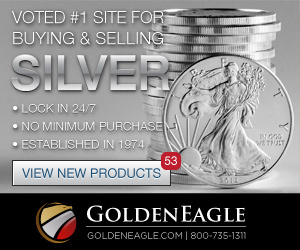 The heraldic eagle, the same design as is on the reverse of the proof set box, resides just above the Kennedy half dollar and between the nickel and quarter in a clear raised design. 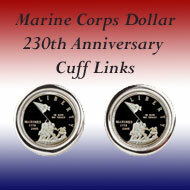 Click on the 1989 Proof Set Coin Specifications to view the details about the individual coins in the annual proof set. The world population in 1989 was 5,201,771,390. This represents 75.9% of the world's population in 2010. $100 in 1989 equals $175.85 in 2010 dollars using the Bureau of Labor Statistics' Inflation Calculator. New houses in 1989 cost an average of $148,800 which would be $261,665 in 2010 dollars. 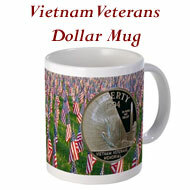 The average income was $20,100 per year which equals $35,345 in 2010 dollars. Gas was $0.998 per gallon which would be $1.755 in 2010 money. The average new car was $14,371 equivalent to $25,272 in 2010.